There is a real enemy, and he will do anything to destroy what God has set up in your favor. SO, WHAT ARE YOU GOING TO DO ABOUT IT?! As a Christian, with God's call on your life, a person of faith and a challenge for it to grow, what can your God do in and through you to defeat the violent attacks against you, your family, and the body of Christ?! Jesus tells us in Matthew 11:12, "And from the days of John the Baptist until now, the Kingdom of Heaven suffers violence, and the violent take it by force." If you read through that verse quickly, you'll think it's talking about violent people that are attacking the Kingdom of Heaven, and it is "suffering violence". But, through the framework of the text that surround this verse, Jesus is declaring that the Kingdom is the violent one and it makes its Advancement by a Passionate entry, which opposes the status quo of society. We are the ones Advancing the Kingdom by Force. It goes beyond the softness that stuffy religious formalism brings (v.8), and exceeds the snobbery that child's play brings (vv. 16,17). I like how one commentary puts it: "It refuses to "dance to the music" of society's expectation that the religious community provide for them either entertainment ("we played wedding songs") or dead traditionalism ("we played funeral songs") (v.17)." In Luke 16:16, Jesus declares the Advance of the Kingdom of God is the result of two things, Preaching and Pressing In. Jesus shows us the Good News of the Kingdom must be proclaimed with Spiritual Passion. We as Christians have to determine whether to respond to this truth with sensible minds and sensitive hearts. To overlook this truth will bring a laziness that limits the ministry of God's Kingdom spreading the details of Truth and Love. We "spread" this Good News by teaching, or educating and engaging in acts of Kindness. Without a doubt, we must do these things as Christians. But, if we don't have an Impassioned Pursuit of Prayer, a Confrontation with the evil forces, an Expectation of Miracles in our lives, and a Burning Heart to tell the world about Jesus, the Kingdom of God makes little advancement in the world. "Pressing In" is accomplished first in Prayer Warfare, connected with a will to surrender ones life and ones self interest, in order to gain God's Kingdom goals. There are a few things this taught me as I studied it. 1.) I Must enter the Kingdom of God by "violent" determination, being aggressive about serving Christ. 2.) I Must recognize that the Kingdom of God requires my highest commitment. 3.) I Must understand that the Kingdom is worth more than any other pursuit. 4.) I Must be ready to forsake any personal goal that hinders me entering into it. 5.) I Must recognize that Kingdom people are not childish but childlike in their faith, trust, and purity. 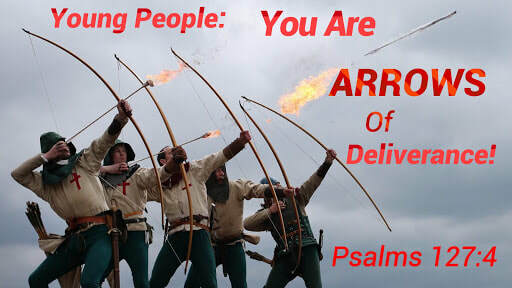 The reason I am telling you all this is at times in our lives there will come an attack of the enemy, Satan. And it is through this "attack" that he will try to get you to quit, give up, become lazy and lethargic of what we are to do as Christians and diminish what Christ did on the Cross. One of those times came this weekend while I was serving at church. You can see from the picture above of the horror I felt when I returned to my van that someone had bashed in the window and taken things from it. Some of the things taken were a very nice Prom Dress my daughter had worn the night before, and her backpack with clothes, makeup, and jewelry including a very nice bracelet her Grandmother (Lola) gave her. Given the fact that this was done in church parking and some of the items were of some value, in the hours after this happened many thoughts flooded my mind. Thoughts of anger, loss, revenge, sadness. Then came thoughts of the why. Why would God allow this to happen, especially when I was serving at church. It's just like the enemy to sabotage the good you do and try to turn it around for his evil. I think about the story of Joseph as he says to his brothers that ruthlessly treated him, "You intended to harm me, but God intended it all for good." If I am to perceive the hand of God in this situation, it requires me to make innumerable choices to deny bitterness and to PRAY. And by doing this I have to come to terms that God's Will will be accomplished as a result of man's sinful behavior. Then, if that doesn't help me all the way, I have to preach to myself. There’s a saying I have on repeat when situations this world throws at me tries to diminish the call on my life. "The lies inside my head can't overcome the Savior that's in my heart." As I have this on repeat, I'm Graciously reminded of the victories God has given me. I'm reminded how at the age of 18 after running from God's call on my life, He brought me back to His own, and called me back into ministry as I began to preach His Word. I'm reminded of how He led me to stop for 5 friends on the side of a busy I-35 highway to fix their tire and now one of them is my best friend for life. I'm reminded of the victories in the first ministry we were involved with in Dallas. Ministering to thousands of children and their families in the inner-city each week. Busing in over 200 teens a week as the youth pastor. I see images of walking in the project areas around Dallas knocking on doors inviting families to our sidewalk Sunday School, while passing blood stained streets from a drive by the night before. I'm reminded of the provision God gave us through the years of ministry, and how He's provided jobs for us in the education field. How fun it was to minister through teaching and just being that kind word or smile to a student that desires true freedom from the stress of this world. I see the many mission trips we've had the opportunity to go on and see God's mighty hand move in lives of people we had the privilege of meeting and praying with. I see the little girl my wife prayed for in Nicaragua that was blind with a white film over her eyes, and a few minutes after praying the white film was gone and the Dad, excited in his amazement, told us she had never responded to him like that before. These are just a portion of the victories God has given us. I could go on and tell you of the great opportunities He has provided. Like working at one of the largest churches in America, planning youth services and conferences for tens of thousands of people and seeing God move in mighty ways. My point to all this though, is no matter what Satan, the world, or a thief that breaks your window and steals from you does, GOD IS STILL ON HIS THRONE! And since He is still on His throne, I will put my trust and life in Him for all the days of my life. No matter what knocks me down in this life, I can get back up and tell the enemy to his nasty face, I'M STILL STANDING! If I can do this, so can you! If you need freedom today from the lies the enemy puts in your head, remember they CAN'T overcome what Jesus did on the cross. If you need prayer today you can email us or comment below. God has provided you with a community of believers to help you get through whatever pain the enemy tries to inflict on you. Trials will come, but God will always be on His Throne! Peace! If I were the late Paul Harvey I would say, "Now this is the rest of the story". Well, I'm not Paul Harvey, but I'll say it anyway (and if you're wondering who Paul Harvey is, Google him, he has some great stories). I left you off last time with the 3 young men about to be thrown into the blazing furnace. And right before, they said this; "If we are thrown into the blazing furnace, the God whom we serve is able to save us. He will rescue us from your power. But even if he doesn't, we want to make it clear to you that we will never serve your gods or worship the gold statue you have set up." They determined in their hearts not to go against their God and defile themselves. Their trust in the one they were named after would either come through for them, or leave them dead. But, their Journey wasn't finished. If you had to Reimagine your Journey, you're not alone. There are millions of us that have been stuck driving in the wrong direction, or not driving at all. And you ask the question a lot of us ask, "why me". But, out of the millions that had to Reimagine their Journey, there is a great percentage that have determined in their heart not to quit and give up. Are you one of these? I am. Believe me when I say that it's hard. It's hard to get up every new day and say "I trust you Lord". And even if you don't come through, I'll still trust you. Isn't that what the 3 young men said. Don't miss the point to all this. You might say, "but God came through for them." Think about it though. They would have died. Capital DIED! You get to live in your situation. They would have been dead. Not living. Gone, Kaput! Over Rover! You get the point, I hope. God came through! As the story goes, they were thrown into the blazing furnace, that even killed the people that threw them in, and God showed up. No, literally He was in the fire with them, because the king said, "didn't we tie up three men and throw them into the furnace? Look! I see four men, unbound, walking around in the fire unharmed! And the fourth looks like a god!" They were brought out with not even a hair on their body singed. The best part of this story is through God's Reimagined Journey for these 3 young men, they not only were saved from death, but they were promoted to even higher positions. Are you ready to be promoted? I want to encourage you today to not give up on your dreams. You might have been through the fire, or still in it. God will bring you through. Trust in him. And ohhhh, what a story it will be. You can read all of the story in Daniel 3:1-30. Did you ever imagine where you'd be at this point in life? Are you at the place you imagined you'd be, or has your life taken a detour, been delayed, or just never really taken off. I remember sitting at my desk in school, staring out the window imagining what life would be like as I got older. The thrills, exploits, and adventures waiting to happen and be discovered. I couldn't wait to take the Journey I had Imagined. I love reading the story of 3 young men who risked their lives because they wouldn't go against the God they were named after. You might know them as Shadrach, Meshach, and Abednego, but did you know the names their parents gave them were Hananiah, Meshael, and Azariah. The reason their parents named them these names is because the last part of their name, the "iah" and "el", are a part of God's name. So, they were literally named after God. Now, if your parents name you after someone, you might have been taught a little something about that person. These 3 young men not only were taught about their God, but also knew that everywhere they went they were carrying His name with them. These 3 young men lived during a time of war and desolation in their country. They saw many of their countrymen die, along with their country defeated by a wicked nation. They were carried off from their family and friends to a wicked and very unfamiliar place, and given completely different names. One day, the country where they were taken decided to make everyone worship a wooden pole, or idol. The 3 young men knew this would go against the God they were named after, so they made a choice not to bow to the object. This choice gave them a death sentence. Since they would not bow, they were sentenced to be thrown into a blazing furnace that was heated 7 times hotter as usual. But it was their reply to their death sentence that stands out to me. They said, "If we are thrown into the blazing furnace, the God whom we serve is able to save us. He will rescue us from your power. But even if he doesn't, we want to make it clear to you that we will never serve your gods or worship the gold statue you have set up." It's that part where they say, "But even if he doesn't", that gets me every time. Some of our journey's haven't turned out the way we thought they were going to go. Just imagine how these young men felt as they grew up believing in the one they were named after. Imagine the dreams they had for themselves, only for their journey to take a turn for the worst. But, they still Trusted and Obeyed the one they were named after. There might be some of you that haven't realized God has given you a name. He's named you and claimed you as His own. One of the things we lack is the Trusting and Obeying part. Just because the journey you imagined hasn't happened or was derailed doesn't mean your life is over. With God all things are possible. Your Reimagined Journey is waiting for you. Trust in Him and see Amazing miracles take place in your life! I don't know if you've ever been victim of Identity Theft, but it happens every time we allow the world and Satan to Identify us. In the Old Testament, David went against a giant and people that thought and said he was too small to defeat the giant. But, David knew who he was through God. God Identified David as the victor even before the battle took place. So, David actually had the advantage over the giant, even when no one else saw it. God has Identified you through His Son Jesus Christ, and has given you authority over this world and the temptations of the devil. What does that mean? It means YOU HAVE THE ADVANTAGE! You have overcome this world because He has overcome the world. You have the most powerful, there all the time, all knowing Spirit by your side giving you authority, and even though you feel weak sometimes He is made stronger through your weakness. YOU HAVE THE ADVANTAGE! He has put in you just the right gifts to be what you were created to be. More than a conqueror, a chosen people, God's very own possession. Kill that giant, the Identity the world has given you, and cut its head off. YOU HAVE THE ADVANTAGE! Now Use It! Let me be short and sweet today because I know you have a lot to do. I would always dislike getting lost in neighborhoods with long streets that turned into a cul-de-sac. I thought I was getting ahead of the traffic of life, I thought I would make good time and beat everyone to the punch, but in the end realized I had to turn around, go back, and find another way or get back in line further back. I heard a preacher say one time, "You can make good time going in the wrong direction." Without even realizing it, we've allowed ourselves to become cul-de-sacs with the gifts and talents we've received from God. Each and everyone of us has something so great inside of us to give to others. But we've learned, either by the trappings of this life or from other people, to keep it to ourselves. So, everything we've received never goes out to bless someone else. We've become spiritual hoarders, gift hoarders, and blessing hoarders with what God has given us. Hoarding those things only delays the greatness in you and others. The world is waiting for people like you to rise up and spread Greatness. We can't do that if we are acting as a cul-de-sac. If you want to spread Greatness in this life, let me challenge you to start being a Conduit. If you allow yourself to be a Conduit rather than a cul-de-sac with what you receive, you become a mechanism that spreads Greatness! conduit- a pipe, channel, or means of access. A similar natural passage. A fountain. There's a situation in the Good Book, that's the Bible for all that's wondering, that tells of a poor widow who's husband served with the prophet Elisha. Now, her husband is dead, and the creditors that she owes are coming to take her two sons and make them slaves to pay the debt. So, what does she do? She cries out to the prophet of God for help. But instead of just giving her stuff, he asked her a question. He said, "Tell me, what do you have in the house?" That's a question that we as families need to ask ourselves. What do we have in our house? Some of us, if not most, will look and say "not much". I want to challenge you to look at what God has given you. Not just the stuff that fills your house, but the substantial material gifts that God has placed in your life. You have more than you realize. And here's the thing; once we realize we have so much to be thankful for, we begin to realize we have so much more on top of that. It always gives me chills to think how blessed I am. And there is always more that we don't realize or see. The widow in the story told the prophet all she had in her house was a flask of olive oil. So, the prophet told the widow to gather and borrow all the empty jars as she could. Then he told her to go in the house with here two sons and shut the door behind her. He told her to pour olive oil from the flask into the empty jars, and set aside each one after it is filled. She was probably thinking, I don't have much oil in my flask dude! But, she obeyed the prophet. The story goes to tell us that the sons kept bringing jars to her, and she filled one after another. Soon, every container was filled to the brim. What you thought was empty will be filled to the brim as you trust in God and allow Him to work through your obedience. It's all in the House! At the end of the story, she tells the prophet what happened, and he instructs her to sell the olive oil, pay off her debt, and live on the what is left over. God is the God of More Than Enough! What ever you struggle, wrestle, or encounter in this life, remember, Everything You Need Is In The House! Have you ever been Pushed? Pushed into a pool? Pushed into someone? Pushed out of the way? Pushed to the side, literally and figuratively? Pushed off a cliff? Well, maybe not. Pushed to the limits of utter delirium to where your head feels like it's about to explode and fall off after studying for a test or taking all night to write a paper for your college course. Okay, that last one might not have happened to you, but I'm sure some of you have been pushed to some sort of limits. All of these have one thing in common. They are all negative. I want to do the opposite starting this week. I want to push you, but I want to push you in a positive way. I want to Push You To Greatness! You have no excuse to settle for mediocrity. Let's decide to pursue great goals and break the habits that have held you back. Being Pushed does not have to be negative, because it's that negativity that has held you back from excelling in Greatness! Greatness is not a goal you can never reach. Someone once said, greatness is not gained by our big achievements, but by the little acts of kindness and triumphs throughout our day. One more thing! As I push you to Greatness, learn to Push others to Greatness! We may teach what we know, but we reproduce who we are! Start reproducing Greatness! Make today Beautiful! Only you can do that. With Love show your Greatness! The journey is ahead of you, the road less traveled is before you. Navigation set! Ready! Come with me! 3...2...1... GOOOOOOO0oooooooooo...........!!!! I once heard someone say they are a success because they floss their teeth everyday. He said if a day goes by that he doesn't floss, which he added is not very often, he is not very successful. Now, I don't know about you, but once I heard this I thought it was crazy. How can flossing equate to success? As I thought about it more, and as he explained himself, he was saying in essence that it's in the little things he choices to do that propel him to success. Flossing is something that betters your teeth, which in turn helps them to look good and healthy. Which in turn helps you feel good and healthy, producing more work and encouragement. Which in turn may make you smile more, which may make people feel better or loved. Which in turn encourages them to become all they were created to be. Which in turn they can encourage others. Which in turn.................. you get the point. Some of you might say that's a stretch. But think of something you may have done to better yourself. Did it make an impact on others? I'm sure it did because bettering yourself usually has effects on others. As I thought about this more, I recognized how much the enemy doesn't want us to open our minds to the possibilities of all we were made to be. You were made with purpose inside of you. It's an everyday, waking up, acknowledging God, and striving for the best in your life. Just think of all the negative that is produced everyday. You wake up with a since of purpose and ready to tackle what lies ahead, but half way to the bathroom your back goes out. If that didn't get you, next you find out you're out of toothpaste. Or, once you're finally ready you find out there are no more coffee filters to make coffee. Or, once you get in the car you find out there is no gas. Do you see the progression of negativity and disappointments that can come up during your day. If it's little things like this that can ruin your day, I believe it's the little things that can also make your day great (just like flossing). What are you doing to turn your negative into a positive? Have you lost your Focus because of all the small negative elements surrounding you? I believe it's all about choice. A choice to Create Solutions instead of giving in to mediocrity. Be Creative, Excellent, Ingenious, Innovative, Productive, and Visionary today!! It's inside of you! !